CBRC Myrtle Point Trail Run followed the Deep Woods trail to the KingFisher trail, and then returned through grassy clearings, passing right by the water tower. New for 2014 is an out & back in the woods beyond the archery range, and not as much running around the field at the start and end. CBRC Kings Landing Park Trail Run traditionally starts at the field follows much of the traditional SMAC cross-country course, with the following exceptions. 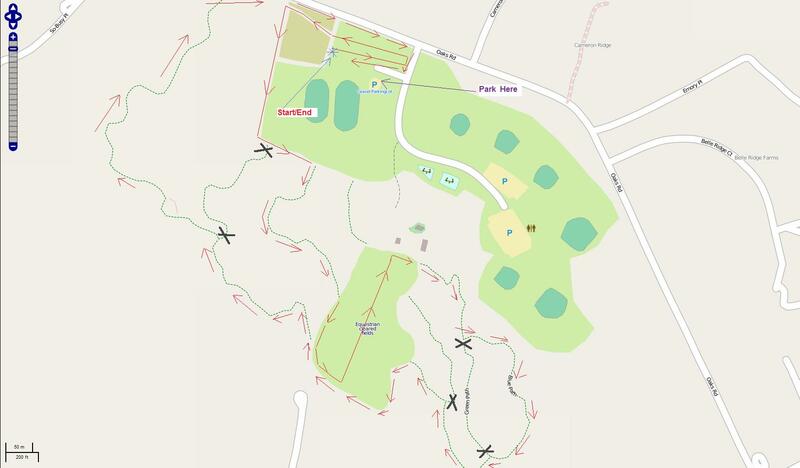 It goes into the woods (on the left as you drive in) and down to the archery clearing, early on, but then rejoins the traditional course through the equestrian area. Coming out of the equestrian area it bears left onto the forest path down to the marsh and fishing pier, then comes back up to the field by the swimming pool, and turns and descends to circle the field above the fishing pier. It runs out to the gazebo near that field, and back, and then goes through the forest/marsh/bamboo forest area. The last mile is the same as SMAC: up the steep hill and out through the cabins, then back to go to the field. There is one additional deviation--a small out and back just before the finish in the clearing. We expect to use the same course as the previous year. Oak Ridge offers one of the more techically challenging trails in the series. 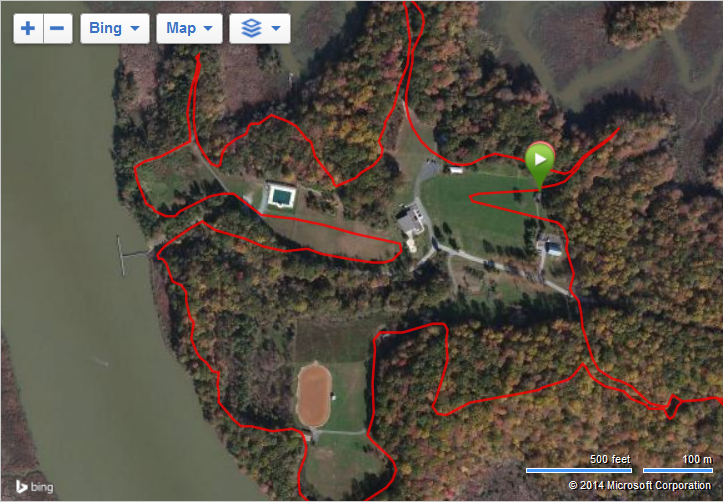 It is a high school cross-country championship course, and combines open fields with single-track woodland trails. In the woods, get ready for a few hills. Several short climbs and descents and twists and turns will keep you on your toes. Watch your footing as several tree roots will test your agility. There's a stream crossing but you can hop it with a big jump! If you're paying attention, you may see the old jalopy. 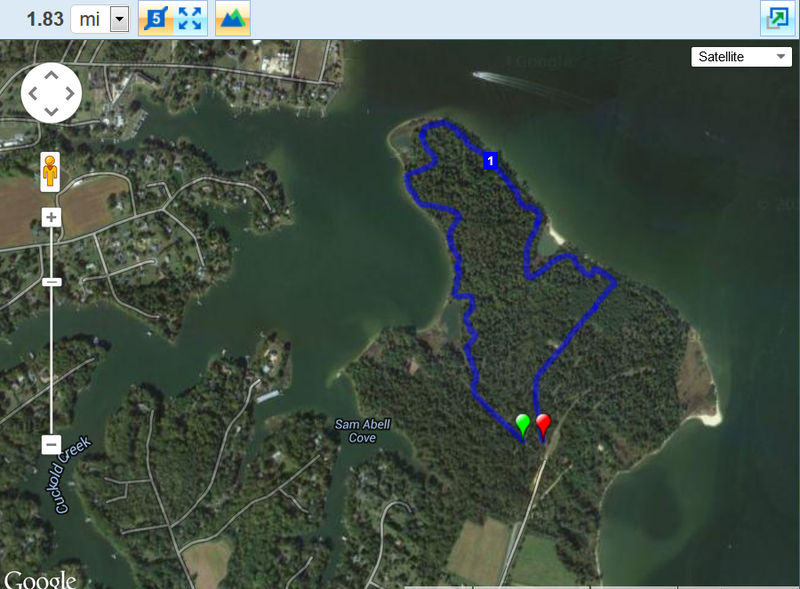 This is a fun trail with a few surprises. 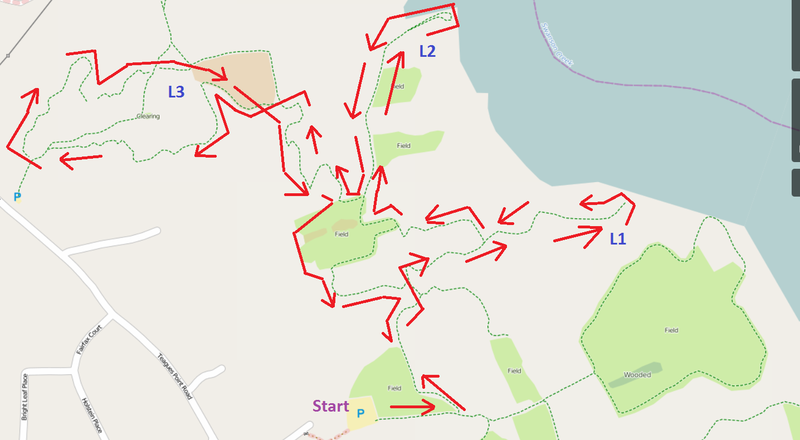 The red arrows drawn on the map below illustrate the course. Black X marks indicate trail branches to be avoided. 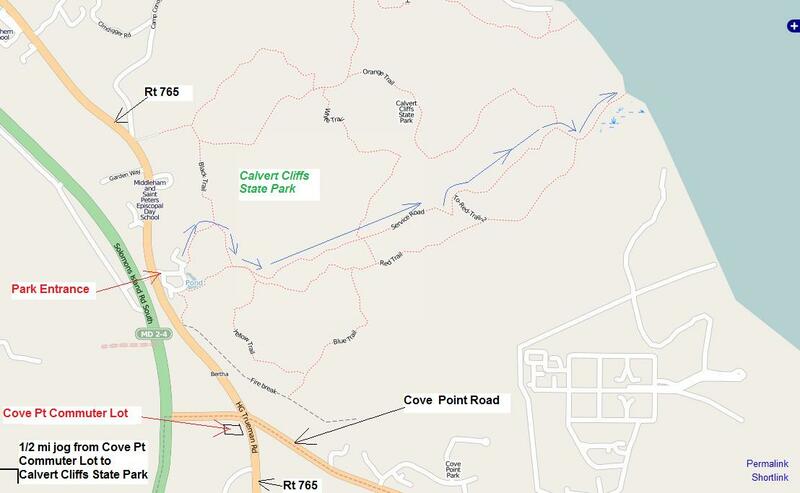 CBRC Calvert Cliffs Trail Run traditionally runs on the service road to the beach, as an out and back. This is a dirt road, so footing is very easy, but it is challenging to race because it is quite hilly. 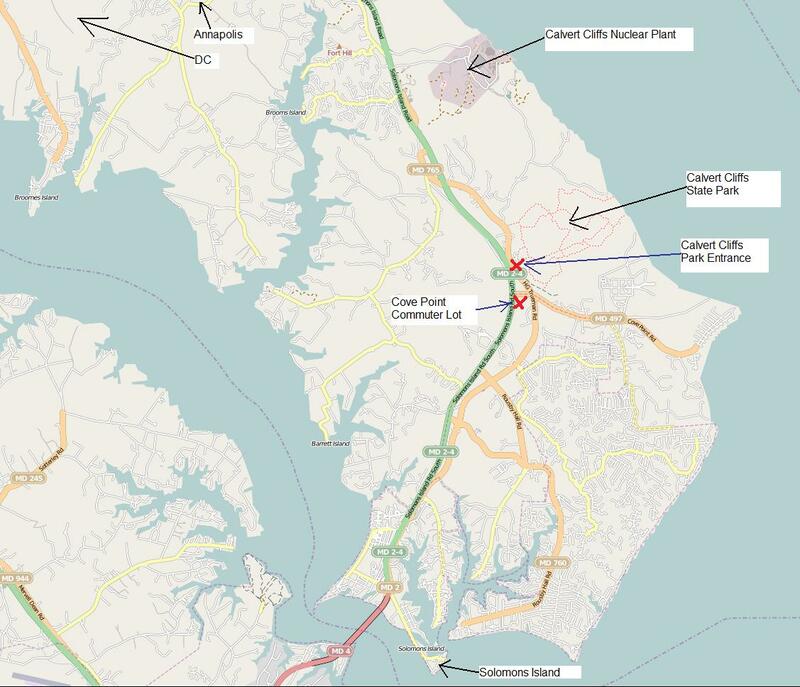 The blue arrows drawn on the map below are just above the red dotted line representing the service road. The route consists of three lollipop style sections, labeled L1, L2, and L3 on the map below.